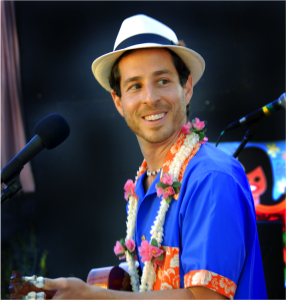 Oxbow Public Market, along with Judd and Holly Finkelstein of Judd’s Hill Winery present Uke-A-Palooza at Oxbow, an action-packed, island-style, comedic evening of musical entertainment for the whole family. The evening includes a raffle to benefit V.O.I.C.E.S of Napa, and a performance on the Oxbow River Deck by The Maikai Gents. Uke-A-Palooza guests are encouraged to bring their own ukulele and perform. Polynesian-themed specials will be offered by Oxbow merchants, vintage beach and Polynesian clothing provided by Melissa Gruenhagen of Retro Diva will be for sale, and other exciting surprises await guests during this 8th annual Polynesian evening event at Oxbow Public Market. Admission to the family-friendly “Uke-A-Palooza at Oxbow” is FREE. NAPA VALLEY DISTILLERY: Tiki-themed mocktail in a take-home mason jar for $8. Mention the speakeasy secret word, “scofflaw” and pick up a two-for-one golden ticket for a tour/tasting at the Distillery.